It's agony and relief to watch my life end. I lose my sense of direction as we turn corners and cross through checkpoints where all our monikers are scanned and we're questioned. Wow, this one sounds good! Thanks for sharing, and for visiting my blog. I, too, take note of homes I enter...searching for the books and other evidence that the people are readers. Thanks for stopping by. Happy Hopping. That beginning was enough to draw me in! Thanks for adding me to the linky, and for stopping by this week. And btw- I always look around for books and bookshelves when I enter a new house. Ever notice how many people have book shelves with no books on it, just decorative items. Ha! I haven't heard much about this one, but the synopsis sounds interesting. Enjoy your current read! I am definitely interested in reading this one! It sounds intriguing. For me, initial visits to unfamiliar homes won't bother me if there aren't any books about. I am usually focused on other things--like why I'm there. I will notice them if they are there though. Now, a second or third visit, I will probably be more alert to the lack of presence of books. I hope you have a great weekend, Nicki! Sounds like an intriguing concept. I like the Beginning. I'm reading White Hot by Ilona Andrews this week. Happy reading! I'm now 80 pages in and enjoying it so far. Happy Hopping! I do enjoy a good scan of people's bookcases! It can definitely be interesting! The premise of this one sounds really interesting and I like the teasers. Definitely. A bookshelf can tell you a lot about a person IMO. I don't feel disappointed about it, however I do get excited when I notice books in someone's home! 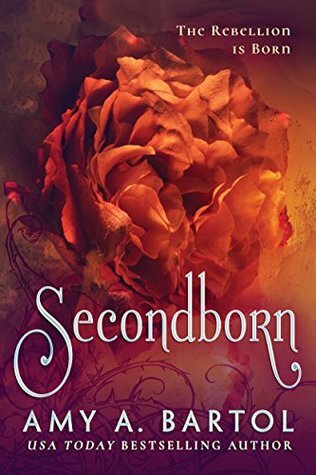 Secondborn sounds interesting, the beginning definitely catches my attention - I hope you enjoy reading it! Thanks, Tas. See you again next week. Nice BBH answer, Nicki! Yeah, this is something I notice right away, because books are ALWAYS on my mind. Lol. Not that I JUDGE or criticize the person in any way when I don't see books in their living room. It's just that I feel disappointed. I can't help it! Lol. Thanks for stopping by, as always, Maria. See you again next week. I love to see books and hope the person has the same interests as I do, but I don't assess a person on their book choices. Thanks for stopping by, as always, Elizabeth. See you again next time. I totally always look for books whenever I visit someone's home... if I don't see any I feel sad. lol great blog hop answer Nicki I absolutely love it! 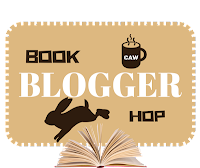 Thank you so much for stopping by my blog hop.